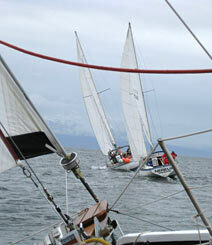 The Homer Yacht Club's cup races are generally about 6 to 10 nautical miles long, and most use permanent buoys and/or small islands for the race marks. 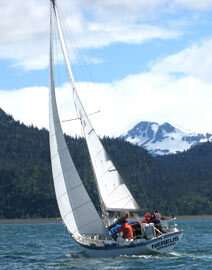 The course for any given day is chosen shortly before the start, with the goal of allowing all participants to finish within four hours.The Nancy Cooney Memorial Cup is a two-day series with a race to Seldovia (about 12.8 nm) the first day and return race the following day. 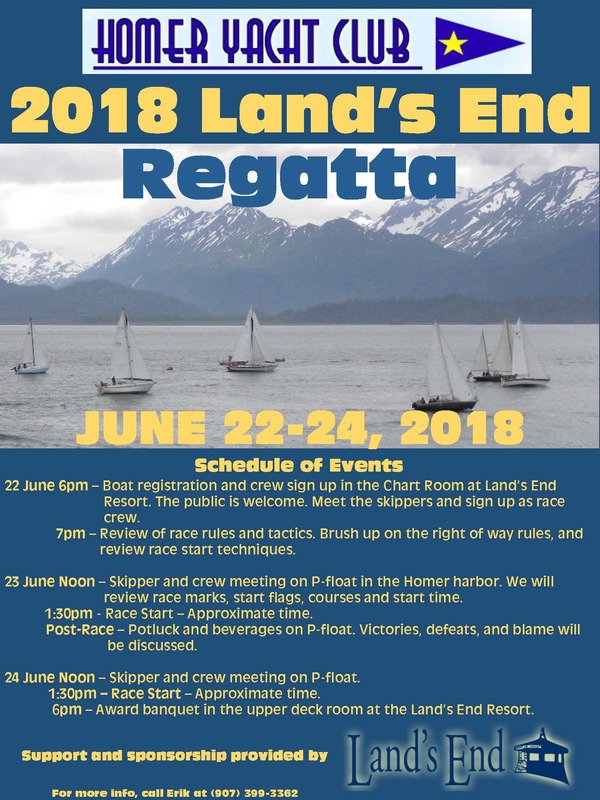 The HYC- Land's End Regatta is a two-day series with one race each day around buoys forming courses easily visible from Land's End Resort and the beach at the end of the Homer Spit. 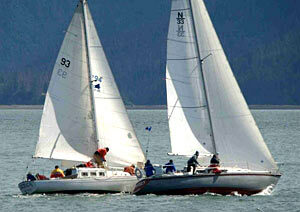 In addition to the cup races, there are informal races on Thursday evenings starting at 6pm. 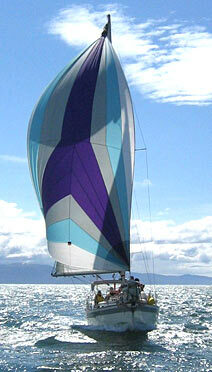 The racing fleet is relatively small and comprises a variety of designs, many intended for cruising rather than racing. Due to these factors and the disparate experience levels among crews, a "golf" handicap system is used for the cup races. Visitors wishing to crew in cup races should email ahead of time to epullman@kbaytech.com to determine whether a crew position might be available. 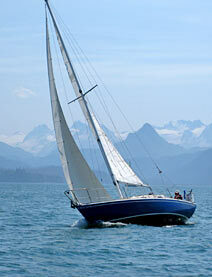 Please watch for possible cruise events throughout the Summer!